Pardon me, while I get on my soapbox for a minute. 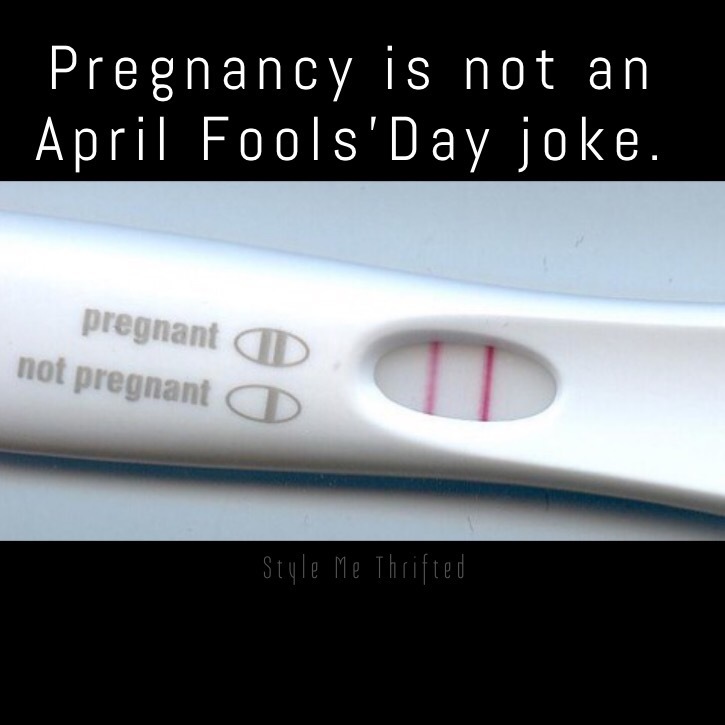 I’ve already seen a few posts today on my various social media feeds of people claiming to be pregnant. If you are congrats, what a blessing for you and your family. If you are not, please don’t joke about this precious gift. Many women are struggling with infertility and are yearning to have a child. I’ve been one of those women, dealing with miscarriage after miscarriage. There are thousands of women right now, hoping that this will be the month they get pregnant and stay pregnant. I’m off my soapbox. Enjoy your day and happy April 1st!